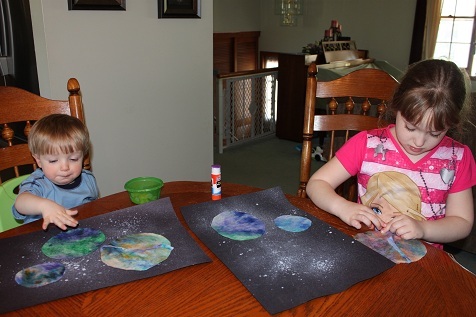 I think this is my favorite of all of our space themed crafts that we did. I love how these turned out!! We did the first step outside so it wouldn’t make a big mess inside. Put a small amount of white paint in one of the spray bottles and mix it with water. 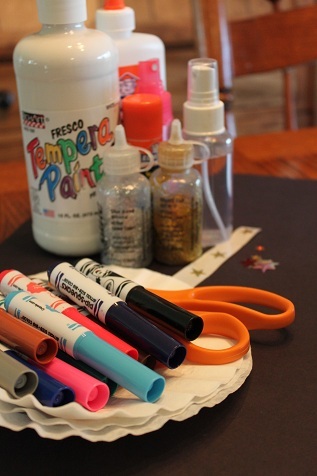 Then spray it on your black construction paper. This gives that galaxy look. 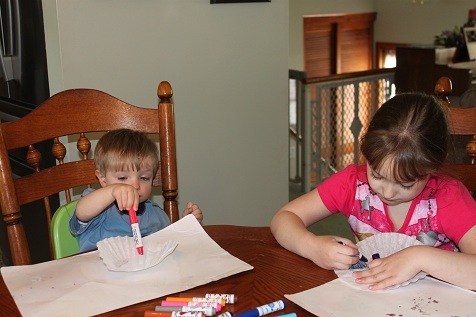 While that is drying, color the coffee filters with washable markers. 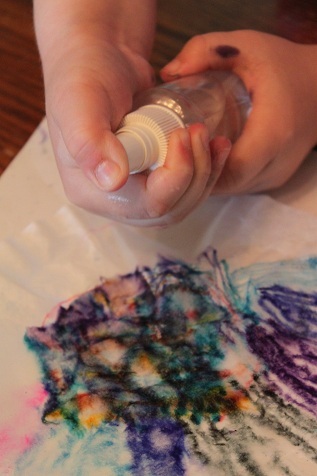 Then spray the coffee filters with water so that the marker spreads. 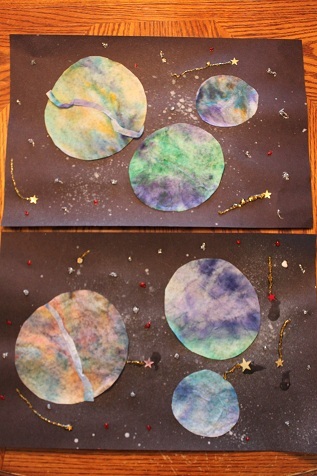 When the coffee filters are dry (and it doesn’t take very long), cut out some circles to make planets. 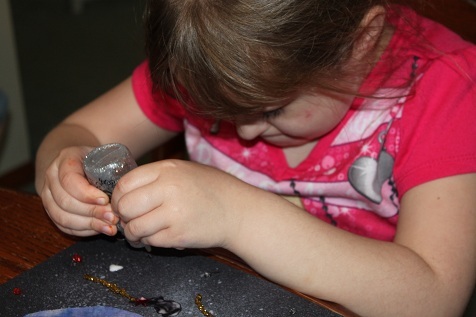 We also used the Earth we made for Earth Day as one of our planets. 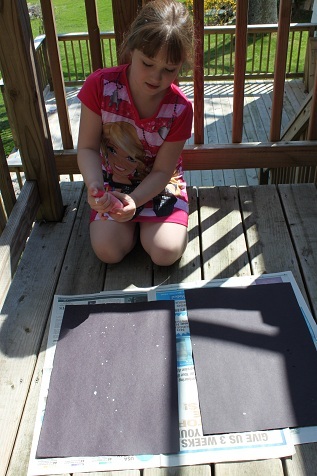 Glue the planets onto the construction paper. 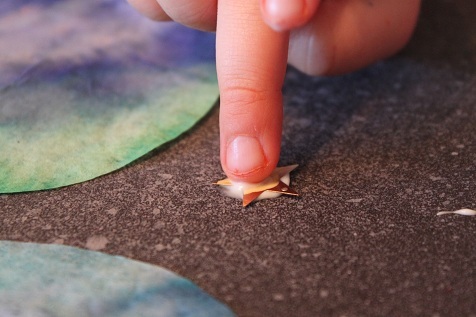 Use the glitter glue to turn your stars into shooting stars. Our completed projects. I love these!! This would make a great cover to an astronomy notebook, hopping over from Hearts for Home.